The World Schools Festival in Stellenbosch turned out to be a bit of one-sided damp squib, writes THEO GARRUN. 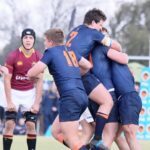 Grey College and Monument have climbed in the Rugby365 Top 20 schools rankings after finishing their season with big victories. 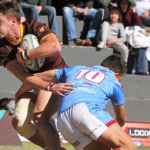 Virseker Cup defending champions Monument are up against new guns Helpmekaar in the competition’s final at the LC De Villiers stadium in Pretoria on Saturday, writes THEO GARRUN. 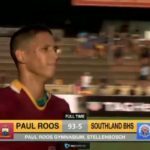 Helpmekaar scored an injury-time try to beat Transvalia 34-33 on Saturday to set up a Virseker Cup final meeting with Monument in Pretoria. THEO GARRUN reports. 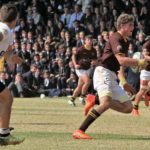 The bragging rights for 2018 among the Joburg Afrikaans-medium schools belong to Helpmekaar after they beat Monument 27-18 at home in a fiercely contested encounter on Saturday. THEO GARRUN reports.